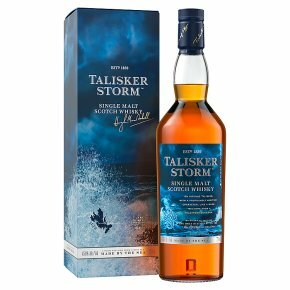 Intense and brooding, this dark Talisker, with its swirling notes of wood, brine and spice, puts you right at the heart of a storm at sea. On the nose it is spicy and briny with mellow smoke and sweet ripe fruits. The flavour rocks between honeyed sweetness, smoke, spice and salt.